Since March 2015, the BMW Startup Garage has been working on integrating startups into the innovation process of the Munich-based global company. We were able to talk with Gregor Gimmy, one of the two who initiated the BMW Startup Garage, about different venturing approaches, the role of the “old economy” and the culture clash between corporations and startups. 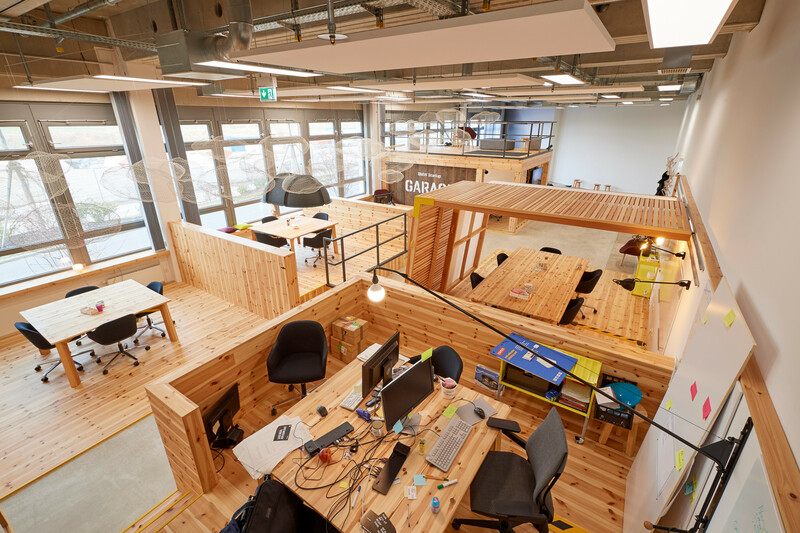 The BMW Startup Garage is not an accelerator. What are you then? We are not an accelerator, we are a venture client. That means we become a startup’s client at a point in time that still makes it a “venture,” for example because the startup product is not ready to launch yet. The process works as follows: the first step is to let startups know about BMW. We need to communicate our added value and objectives on a global scale. A large number of startups have started sending us applications, with 90% coming from outside Germany. The next step is to choose the best applicants, meaning market leaders who offer something that we at BMW and our current suppliers do not have yet. Startups that work with us have to be better than say Intel, SAP, Qualcomm, or whoever might work in that specific field. We then figure out which departments at BMW could be a match as the first client for that specific startup. Take the topic of artificial intelligence as an example: BMW needs it in many areas — ranging from the workshops to production, service and even its application in autonomous cars. We then look for an actual project together — not a demo project — which allows the startup to test their innovation in direct cooperation with the department (as their client, not as their mentor). The project lasts for a maximum of four months and the startup is paid, of course. BMW becomes the startup’s client, so the startup receives a supplier number and purchase order just like any other supplier. 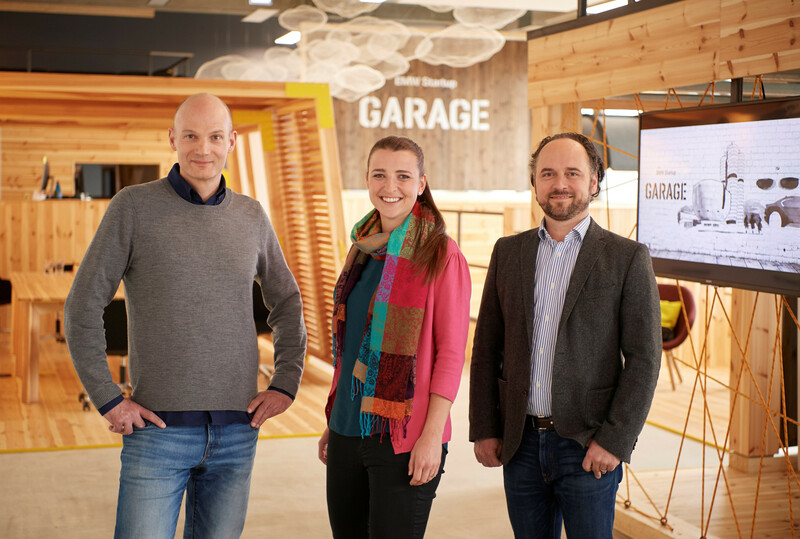 The BMW Startup Garage team: Gregor Gimmy, Ana Carolina Alex and Matthias Meyer (from the left, photo: BMW). After the first order has been completed successfully, the startup receives follow-up orders. The BMW Startup Garage does not buy shares, but instead the technology, even if it is still in its prototype stage. As already mentioned, the product is validated in an initial project within our ecosystem — be it in a car, factory or service. The goal is to get to know each other so well within those four months that we are able to establish a long-term partnership and the corresponding follow-up orders. You call your approach venture client. Is this model superior to the classic venture capital? Both approaches complement one another: Venture client is suited for working with startups at a very early stage and integrating them into a real innovation project. That allows us to quickly assess how well the technology meshes with BMW, and the startup learns how to work with us. As soon as I see that it is working, then it is possible for BMW i Ventures to invest venture capital as a subsequent step. That being said, this step is not a must and is also not our objective. Our objective is to quickly integrate startups’ innovations. Due to the extremely high fixed costs of an investment, individuals in corporate venture capital (CVC) are limited to investing in only five to ten startups annually. With the venture client model, I can integrate a much higher number of startups into the system, which has a quite significant and effective impact on our innovative power. Startups might also not even want corporate investments, especially not in an early stage, because that might make them less flexible and they may already have a large number of other investors. With BMW as a venture client, in contrast, startups get a client early on along with their validation. That increases the value of the startup without diluting their shares. Are you purposely located in Garching and not in the BMW Tower to have more freedom? Our location has nothing to do with that: providing freedom is not our intention at all. Neither is it our goal to change BMW’s culture. Our objective is to find market leaders in strategically relevant technologies and to quickly and easily build partnerships in order to increase the speed at which improved products hit the market. I also find the term ‘startup’ a bit confusing — for us, it is ultimately about working with market leaders. And that market leader might have a team of three, four or five and be just two years old because they are working on technologies that are not much older either. 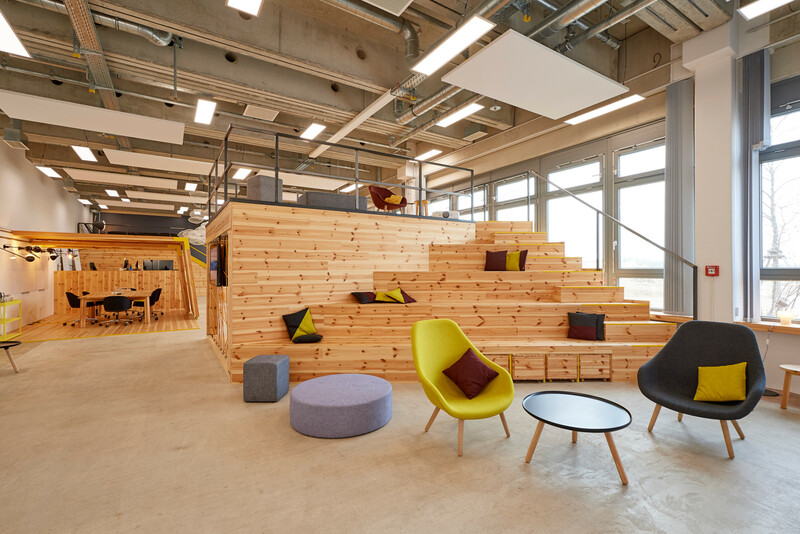 It is important to be located in Munich to be close to the BMW innovation process, since that is where the entire innovation strategy and its implementation occur. Is it also a matter of startups learning about BMW’s processes by participating in your program? For us, it is about quickly integrating a startup’s innovation. 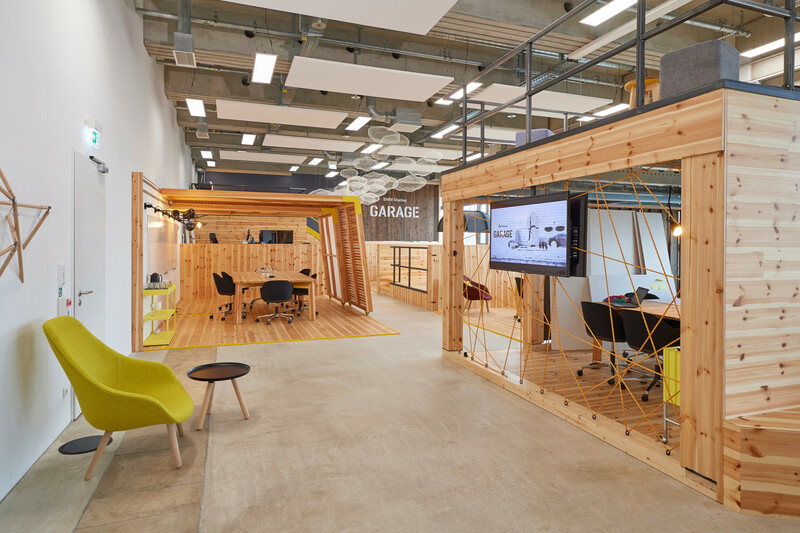 If we had located the BMW Startup Garage in Berlin, the geographic distance would have made it more difficult for the startup to understand the whole process and to quickly find clients — and that is what facilitates the integration process in the end. A startup’s aim is to sell their technology to BMW, and our aim is to quickly integrate that technology. Do cultural differences between startups and departments in the company lead to communication problems? Cultural differences are completely irrelevant in this case. It would be the same situation if we needed a specific technology, for example from Apple, Microsoft or Qualcomm, to improve our products and processes. It is solely about their technology functioning as a value-adding element within our ecosystem. If I were to say I want to buy the company, then we have a different situation: an acquisition would not work with a culture clash. So for you it has nothing to do with financing, support or establishing startups, but is instead about a client/supplier relationship on an equal footing, correct? Yes, and that is exactly what a startup needs from us most. A startup works because there are companies or clients who buy their product. A startup should only exist if it is ten-times better than everything else out there. 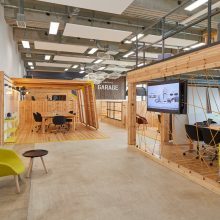 That is why we want to work with them and why the BMW Startup Garage exists: because we know that startups are simply better in certain areas. And what makes those startups better? There is a simple explanation: a lot is extremely software-based these days. If you think about people like Bill Gates or Mark Zuckerberg, they all started programing when they were teenagers. When they enter the market at 20 or 30 years of age, they already have 10 to 20 years of professional experience. The situation was different for mechanical engineers in the past. They were not able to just put cars together at home in the garage. That is why startup founders are often much better than large companies in terms of software technologies, be it machine learning, cloud computing, big data or analytics. This makes it imperative to work together with these individuals, and to do so in a completely unconventional way compared to the past. 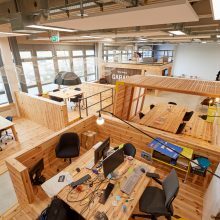 Why are US companies often further along in working with startups than their German counterparts? Silicon Valley only functions at all because large companies work together with startups on extremely efficient terms. For one thing, they buy the products from startups very early on — which is what I call being a “venture client.” They also purchase entire startups. That makes startups an extremely important element within the innovation process of these companies. In contrast to large German companies, a great deal of companies in Silicon Valley were startups themselves not too long ago. The founders either still work in the company, or being a startup is simply part of the company’s DNA. Pretty much every large Silicon Valley company — for example Facebook, Google, Cisco, Salesforce, Apple, Intel or HP — grew up on venture capital. So a large number of them are “suppliers,” or B2B companies. 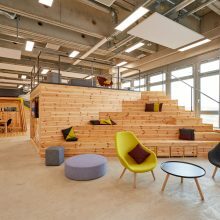 Many have called startups the “new Mittelstand” (small and medium-sized enterprises). How will the relationship between the “old” and “new economy” change in Germany? In Germany in particular, I think there is significant potential in the Mittelstand — which also includes German companies that make revenue amounting to a billion euros or more. These companies are often led by members of the founding families, and they still foster that spirit. Cooperation between startups and Mittelstand companies has mostly been limited to venture capital until now. The problem is that venture capital is extremely expensive and the market is very competitive. For a venture capital unit, I have to hire a team, change decision-making processes and might only receive a small shareholding that often amounts to less than 1%. Moreover, only 20% of CVC investments manage to integrate the financed technology into the main company. So seen strictly as a tool of innovation, CVC is quite costly. With the venture client model, we are able to achieve a 100% transfer with lower fixed costs than if shares had been purchased. After learning how to use the venture client system, these companies will have a direct tool for cooperative work. The model offers a much simpler method for working with young companies and it can set a lot in motion.